The family of Loyd Cecil Martin mournfully announce the death of our beloved father, Cecil. 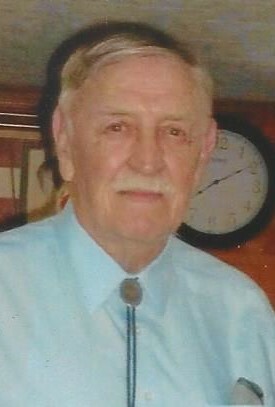 Cecil was a member of North Hall High School's first graduating class of 1958 and after high school, he proudly served in the United States Army from 1958 through 1964. His life-long roots was in Hall County, GA where he made his living as a well-known master carpenter. He was happily married to his high school sweetheart, Claudine, for 59 years. A person did not have to be around Cecil long to sense the fruit of "The Holy Spirit." His devotion to Jesus Christ, his personal savior, and his family left no question that he was the Spiritual Leader of his household. He also served his Lord with 50 years of service to the Georgia Masonic Lodge and over 30 years of teaching Sunday School. Cecil's hobbies were watching the Atlanta Braves and working in his beloved garden. His wife, children and grandchildren will sorely miss "Poppy" but are comforted because his faith ended in sight, and he heard the Lord say "enter in ye good and faithful servant." He was a member of Sardis Baptist Church. Survivors include his wife, Claudine Truelove Martin; Gainesville; sister and brother-in-law, Marie and Norman "Bud" Stewart, Lenexa, Kansas; son, Les Martin; son and daughter-in-law, Mitchell and Laura Martin; daughter and son-in-law, Elizabeth and Rev. Joel Martin; grandchildren, Lucas Martin, Daniel Martin, Clay Martin, and Nicole Martin, all of Gainesville. A number of cousins, nieces and nephews also survive. Cecil is preceded in death by his parents, Henry Clay and Annie Smith Martin. Funeral services will be held at 2:00 p.m. Sunday September 2, 2018 at Sardis Baptist Church. Pastor Stan Peck will officiate. Interment will follow in the Sardis Baptist Church Cemetery with Rev. Joel Martin officiating. Rev. Keith Truelove will have a family prayer at the funeral home Sunday before leaving for the church service. The family will receive friends Saturday September 1 from 1:00 p.m. until 3:00 p.m. and again from 5:00 p.m. until 8:00 p.m. at Little & Davenport Funeral Home. In lieu of flowers, the family has asked that memorial contributions be made to Sardis Baptist Church, %Bill Nix 3391 Wolf Drive, Gainesville, Ga. 30506 or Murrayville Masonic Lodge, % Len Land, P.O. Box 507, Murrayville, Ga. 30564.